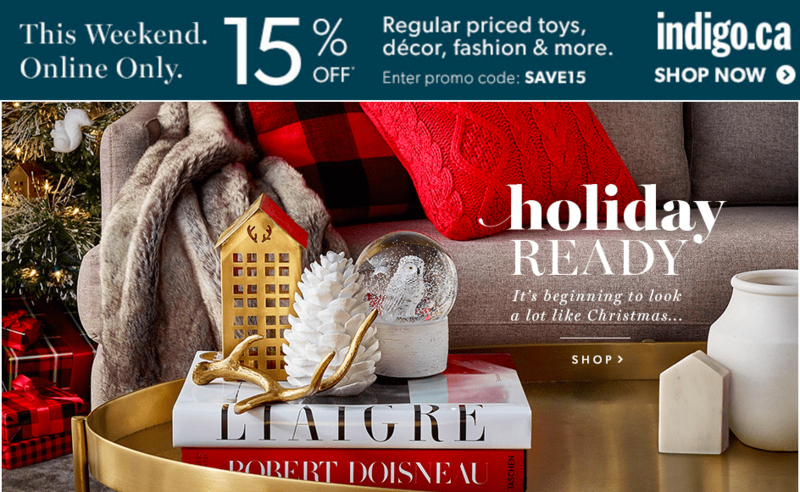 The Chapters Indigo weekend promo code are valid online only from today, Friday, October 23, 2015 until Sunday, October 25, 2015. To get the Indigo Chapters offer, enter the promo code SAVE15 at checkout. This offer excludes books and electronics. Click here to get all Indigo Chapters Canada online offers. 5X Aeroplan points for awhile too.